I'm about to head out the door on my seventh Everest expedition, this time climbing in the historic footsteps of Tom Hornbein and Willi Unsoeld up the West Ridge, retracing their route from the Eddie Bauer sponsored 1963 expedition. Elizabeth Hawley, the amazing, tireless, grande dame of all things Himalayan mountaineering, turns 88 today. A remarkable woman, Hawley has tracked down climbers and documented every significant Himalayan climb for the past fifty years. From Hillary to Messner, Kukuczka to Pasaban to Viesturs, no one who's climbed in the Nepal Himalaya has avoided an in-depth interview with Liz, and she truly is the sole storehouse of Himalayan history and knowledge. So, send your best thoughts to Miss Hawley today. She's 88 and still going strong. Here's to many more years of her strong will and contributions to Himalayan climbing. If you want to read more about Elizabeth Hawley, I've got a blog post here. Reports from this remote region are scarce, and the death toll stands currently at "only" 69, but that number will most likely grow as more information percolates in from villages and outlying areas. Even Kathmandu, the capital of Nepal and 270 kilometers from the quake's epicenter, was hit hard, with many buildings collapsing, including a brick wall at the British Embassy that fell and killed a man and his daughter on a motorcycle. Nepal, I'm thinking of you, and keeping my fingers crossed. There are a few names that are synonymous with historic, legendary alpinism: Messner, Kukuczka, Buhl, etc. 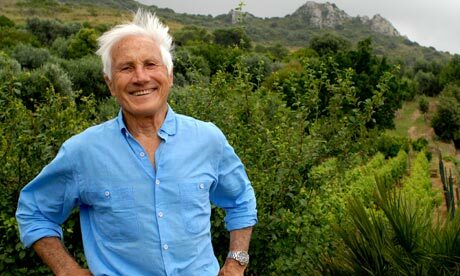 And, sadly, one of the early legends, Walter Bonatti, passed away at age 81 yesterday in Rome, Italy. Bonatti was also on the famous first ascent of K2 in 1954, which resulted in a decades-long feud with fellow teammates (and first ascensionists) Lino Lacedelli and Achille Compagnoni over oxygen supposedly used by Bonatti, thus hindering their eventual summit bid. For me, the value of a climb is the sum of three inseparable elements, all equally important: aesthetics, history, and ethics. Together they form the whole basis of my concept of alpinism. Some people see no more in climbing mountains than an escape from the harsh realities of modern times. This is not only uninformed but unfair. I don’t deny that there can be an element of escapism in mountaineering, but this should never overshadow its real essence, which is not escape but victory over your own human frailty. You'll be missed, Walter, but your spirit will live on. Check Out Everest in 3D - pretty cool! While she's never really been nice to me, she's never really been not-nice either. She's just been, well, Liz. Or Liz Hawley. Or, for those of us who are just a bit afraid of her: Miss Hawley. She's an amazing woman in all respects, and perhaps the last person one would expect to find living in Kathmandu, Nepal, and documenting the climbing scene. For starters, she's not a climber. She once told me she thought all of us climbers had a screw loose; and, she'd be the authority more than anyone, since she's worked with climbers in Nepal for over 50 years, documenting every ascent of significant peaks in the Nepal Himalaya. But, she knows the Himalayan peaks better than anyone, and putts around in her 1960's, baby-blue VW Beetle every climbing season to track - and sometime harass - incoming and outgoing climbers. She's a stickler for detail, and is considered the ultimate arbiter when a summit is in dispute. Prickly as she may be at times, Liz (she somehow has always allowed me to call her that) is a joy to be around. When I see her, I don't expect a sugar coating on anything, just straight up questions, straight up answers, and good conversation, all delivered on schedule. I last saw her in 2009 after coming off Everest. I hadn't seen her since Gurla Mandhata in 2006 but, from across the lobby of the Yak & Yeti Hotel in Kathmandu, she chirped: Mr. Norton, I have a meeting with you, Mr. Hahn, and others tomorrow at 3:00. Please remind Hahn. I quickly smiled, said yes, and began walking her way to chat. A stern, librarian finger snapped up and stopped me in my tracks. That's all, Mr. Norton. We'll talk more tomorrow. Silenced, I walked off, scribbling the meeting time on the back of my hand with a Sharpie. Finally, the work of Liz Hawley, is being recognized by the world outside of Himalayan climbers. 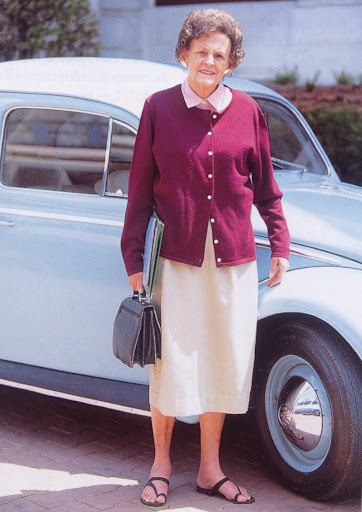 In 2011, Eric Hansen wrote a great article on Liz in Outside Magazine, entitled "The High Priestess of Posterity". And, now, my friend Allison Otto is heading soon to Kathmandu, Nepal, to meet with Liz and begin a documentary film on her life and career as the keeper of the Himalayan record. But, Allison needs your help to fund the project; please check out the brief introduction below, and then head on over to her project, Keeper of the Mountains, at KickStarter.com, and make a donation! I was saddened this morning to read of the passing of climbing legend Takashi Ozaki high on Everest. A legendary climber, Ozaki recorded some amazing ascents during his career, including Everest, Broad Peak, Manaslu, Lhotse, Makalu, Shishapangma, and Kangchenjunga. He climbed 6 of the world's fourteen 8000 meter peaks in winter, and also made the first full ascent of Everest's North Face, linking the Japanese Couloir to the Hornbein Couloir with partner Tsuneo Shigehiro to the summit on May 10, 1980. In addition to the big peaks, Ozaki was an explorer. In 1995, he made the first climbing reconnaissance of the remote Hkakabo Razi in northern Myanmar (Burma). He returned to the region in 1996 and made the first ascent of the 19,294 foot peak with local climber Niyama Gyaltsen. Read Stephen Brookes' article on Ozaki's adventures in Myanmar here. From the sounds of it, Ozaki was high on the Southeast Ridge of Everest when he began showing signs of pulmonary edema. He collapsed on the descent, and died soon thereafter. Ozaki was 59, and will be missed. Everest Summit, in 140 Characters...Twitter on the Top! Well, it was inevitable...After 3G coverage came to Everest last spring, it was only a matter of time before Tweets from the Top of the World began. And, yesterday was the first. Long time Everest climber Kenton Cool made his 9th summit of Everest, and stepped into the history books as the one who sent the first Tweet from the summit of Everest. Wow. Not entirely sure how I feel about that. But, having shot some of the first live TV from my lipstick cam in 2003, and having sent real-time dispatches off from expeditions around the world since 1997, I guess I can't really say this is a step in the wrong direction. It's just a natural evolution of technology pervading every aspect of our lives. What's next? We'll see soon, I'm sure. In some ways, he was an unlikely hero. All of about 5 feet tall, Nawang Gombu - or simply Gombu to most - was a quiet, polite, extremely kind man...and one of the last living "Tigers of the Snow". I first met Gombu when I was 12. He was guiding that summer - as he had for years - on Mount Rainier in Washington, climbing up and down the mountain with little effort. Six years later, I'd have the opportunity to work with Gombu when I began guiding at Rainier Mountaineering, Inc. Many a night, Gombu and I would share a simple but hearty dinner of dal bhat (rice & lentils, a Nepali staple) with his nephew, Phursumba, speaking in Nepali and sharing stories. And, the next day, we'd all head back to the guide hut at Paradise for work. Gombu would climb the mountain, or work in the rental shop, and rarely talked to people about his background, his immense climbing history. To many, he was just a cute, quiet little man from some far away place helping fit their boots. But, Gombu was far more than his modest demeanor let on. The nephew of Tenzin Norgay - who reached the summit of Everest on May 30, 1953, with Hillary - Gombu spent his early years in Minzu, Tibet, and then studying as a monk at Rongbuk Monastery on the Tibetan side of Everest. He loved to share the story of sneaking out a window on Ronbuk at age 15, and sneaking away from the monastic life - which he didn't take to - and eventually making his way to Darjeeling, India. The life in Darjeeling brought him into the climbing circle, and Gombu joined the 1953 Everest expedition at only 21, and carried loads to 26,000 feet - the youngest person at that time climb that high. Thirteen years later, Gombu walked into the history books when he reached the summit of Everest with Jim Whittaker, the first American to summit the mountain. But, Gombu's climbing was far from finished. He would go on to climb Everest a second time in 1965, becoming the first person to reach the Top of the World twice - a record which he held for nearly 20 years. In addition to Everest, Gombu climbed - among many other peaks - Saser Kangri, Nanda Devi, and Cho Oyu. He also reached the summit of Rainier at least 100 times. While largely unknown in the western world, Gombu was a legend in India. When I visited him first at his home in Darjeeling in 1995, the aura and respect for him amongst people at the Himalayan Mountaineering Insitute (HMI) was palpable. He was a legend in Indian mountaineering circles, and through his work at HMI, he helped shape a new generation of Indian climbers. In 1963, after reaching the summit of Everest with Jim Whittaker, Gombu and the team were feted in Washington, D.C., and the subjects of many interviews. One reporter asked Jim and Gombu what their thoughts were when they finally reached the 29,035 foot summit of Everest. Jim eloquently replied that his thoughts were filled with the humbling nature of the mountains, and about reaching the summit for the glory of the USA. Gombu's reply? "How to get back down." With that, Gombu's infectious smile stretched ear to ear. He will be missed, and my thoughts go out to Gombu's family and friends. Our second annual Hall of Mountaineering Excellence gala and award ceremony for the American Mountaineering Museum is coming up fast, and this year is one you don't want to miss! Rub elbows with the likes of Tom Hornbein, Bob Craig, Nick Clinch, and more, and listen to climbing legend Royal Robbins speak of his historic climbs. Tom Hornbein (1930 - ) made mountaineering history when in 1963 he and his partner, Willi Unsoeld, were the first to summit Mt. Everest via the West Ridge and traverse down the other side. Combining his love for mountains with an interest in medicine, Hornbein has built a distinguished career as a researcher and anesthesiologist, studying the physiology of breathing and altitude adaption. 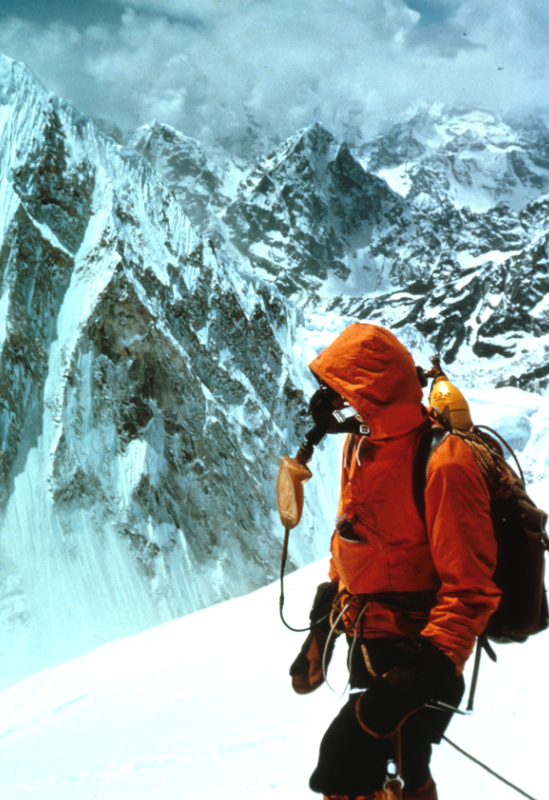 It was a 1960 climb of Masherbrum peak that prompted Hornbein to devise a more effective, lower resistance oxygen mask, which was later used in the 1963 expedition. Following the Everest climb, Hornbein became a professor in the Department of Anesthesiology and of Physiology and Biophysics at the University of Washington in Seattle. His medical career has led to publication of more than 100 journal articles and book chapters, as well as honors ranging from a Distinguished Teaching Award in 1982 to membership on the prestigious Institute of Medicine. Hornbein is also the author of the mountaineering classic, Everest: The West Ridge. Fred Beckey (1923 -) has achieved lasting recognition and admiration for his imagination, persistence and dedication to the mountain lifestyle. Pioneering difficult routes since he was a teen, Beckey is unofficially recognized as holding the all-time world record for first ascents credited to one man, and is widely regarded as one of North America’s “most eccentric and colorful mountaineers.” In the summer of 1954 alone, he scaled Mounts McKinley, Hunter and Deborah in the Alaska Range, an accomplishment that became known as his Triple Crown of First Ascents. His own namesake, Mount Beckey, rises some 8,500 feet in Alaska's remote Cathedral Mountains, and was named after a 1996 ascent. Beckey has authored a number of exploratory, historical, personal and instructional works, including the Cascade Alpine Guide series, Mountains of North America, The Range of Glaciers: Exploration and Survey of the North Cascades, and Challenge of the North Cascades. Royal Robbins' (1935 -) accomplishments as rock climber and adventurer are legendary. An early advocate of boltless, pitonless clean climbing, he did much to transform the climbing culture to minimize the human impact on the vertical wilderness and protect its natural features. As a rock-climbing pioneer, he broke through existing standards to create wholly new skill and difficulty levels. In the 50's, 60's and into the 70's, Robbins established one daring new climb after another, among them many revered classics on Yosemite's Half Dome and El Capitan. Robbins, a prolific author, has written two seminal books, Basic Rockcraft and Advanced Rockcraft, which showcased his skill and climbing ethic and inspired a whole new generation of climbers. * Royal Robbins will be the keynote speaker for the Gala. Miriam O'Brien Underhill (1898 - 1976) was a leading advocate for the concept of "manless climbing,” organizing many challenging all-women ascents, primarily in the Alps. In her early career, Underhill made the first ascent of Toree Grand in the Dolomites by a route now known as the “Via Miriam” in her honor. In 1932, she completed the first all-women’s ascent of the Matterhorn with climber Alice Damesme. Underhill and her husband, Robert, were charter members of the Four-Thousand-Footer Club, climbing all of New Hampshire’s peaks of 4000 feet and over. They were also the first to climb all 48 peaks in the winter, completing the quest with their ascent of Mt. Washington in 1960. Underhill authored the essay titled Manless Alpine Climbing: The First Woman to Scale the Grépon, the Matterhorn and Other Famous Peaks Without Masculine Support, which was published by the National Geographic Society in 1934. Her autobiography, Give Me the Hills, was published in London in 1956 and republished in the United States in 1971. Willi Unsoeld (1926 - 1979) was an influential mountaineer, theologian and educator, who, along with Tom Hornbein, lead the legendary 1963 first ascent of Mt. Everest by way of the West Ridge. After a stint as Peace Corps Director in Nepal, Unsoeld joined Outward Bound and traveled about the country giving speeches and promoting the organization. As one of the founding faculty at Washington State’s Evergreen State College, Unsoeld became known as “The Father of Experiential Education,” influencing the growth of outdoor education and inspiring thousands of followers. Unsoeld died doing what he loved during a winter climb of Mt. Rainier in March of 1979. So, mark your calendars for Saturday, April 9, 2011 5:30pm-9:30pm at the American Mountaineering Center in Golden, Colorado. And, now go buy your tickets and get ready for a night of climbing history!